California is an ex-vineyard turn food for cows. Plenty of clover and lots of grass. You see brown, but underneath is rich green. 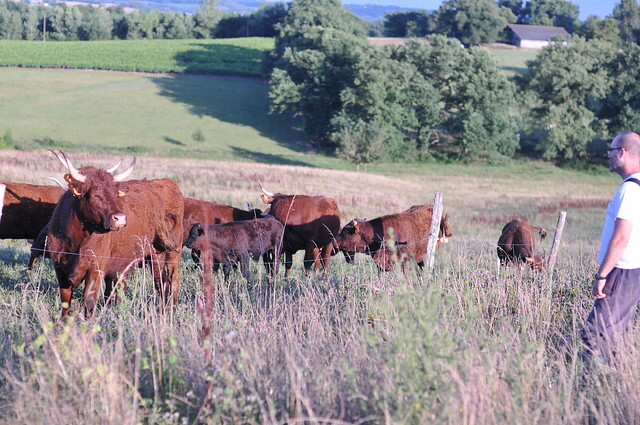 The pasture goes green, exposing the undergrowth as they munch along. Go July! We checked on them this evening because I heard them moo. When cows moo in the evening, sometimes they’re full and sometimes they’re being naughty. They were full.